We have been eating a lot of this curry here recently. It is delicious, cheap and uses up freezer veggies. We are slowly running out of things in the garden – still have the last of the Jerusalem artichokes, one red cabbage, and some kale. We are eagerly awaiting the purple sprouting broccoli and the swiss chard that has re-sprouted. 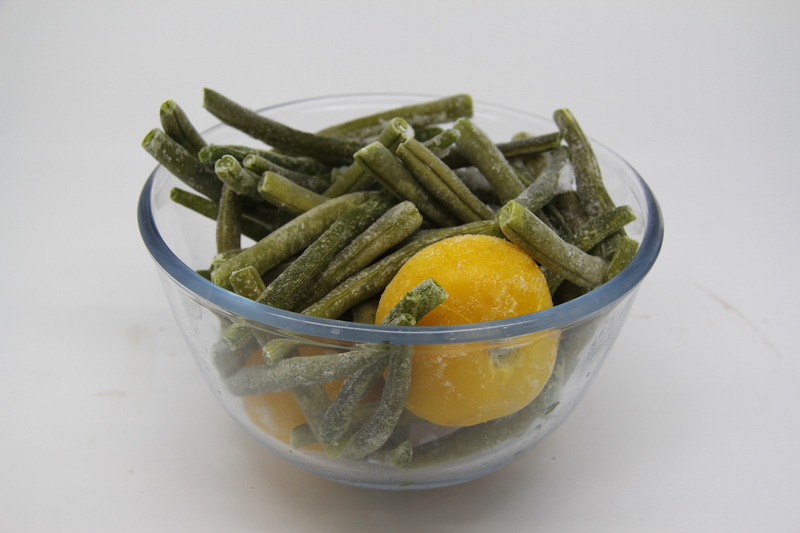 All the salad stuff and beans are a long way off though – so we are using up the veggies we froze from last year. The curry is very easy to make and adaptable – I make loads as then we have leftovers to eat later in the week and to freeze. 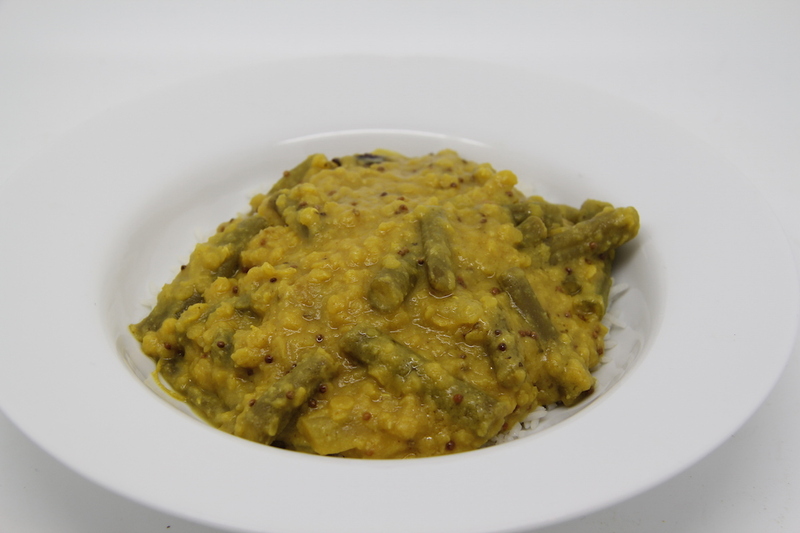 Simple Vegetable and Coconut Curry: red lentils, creamed coconut (or tin of coconut milk), onion, mixed vegetables, tamarind paste or juice, chilli powder, coriander seeds, turmeric, curry leaves, mustard seeds, a dried chilli, oil. Wash red lentils (a couple of handfuls) and put in a saucepan with enough water. Add the onion, turmeric, chilli powder and cook until nearly done. Add in any veggies that need more cooking such as potatoes, carrots, artichokes. Add in the coconut and tamarind to taste. Toast the coriander seeds in a dry pan until golden and their aromas are released – grind and add to curry. Add in other veggies such as frozen beans and tomatoes and continue to cook slowly. Just before eating, heat up a good amount of oil in a little frying pan, throw in the mustard seeds, curry leaves and broken up dried chilli – cook until spluttering and then pour over the curry. 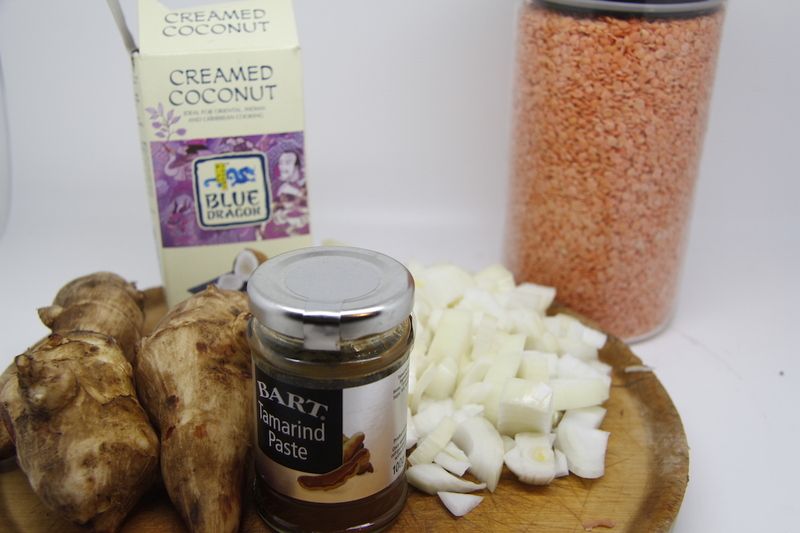 Mix a bit and serve on rice or with bread with pickles on the side. Thank you – it is really quick and delicious – we eat it a lot!